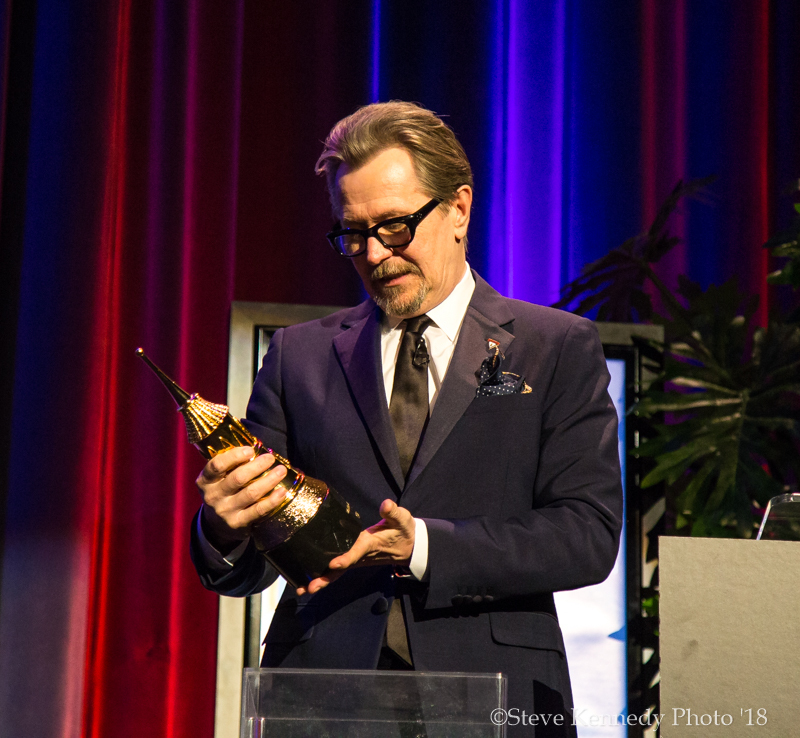 Chameleon, shape-shifter, articulate magician, a governor for actors——these were just some of the descriptors used to embody the recipient of the 2018 Maltin Modern Master Award, Gary Oldman. 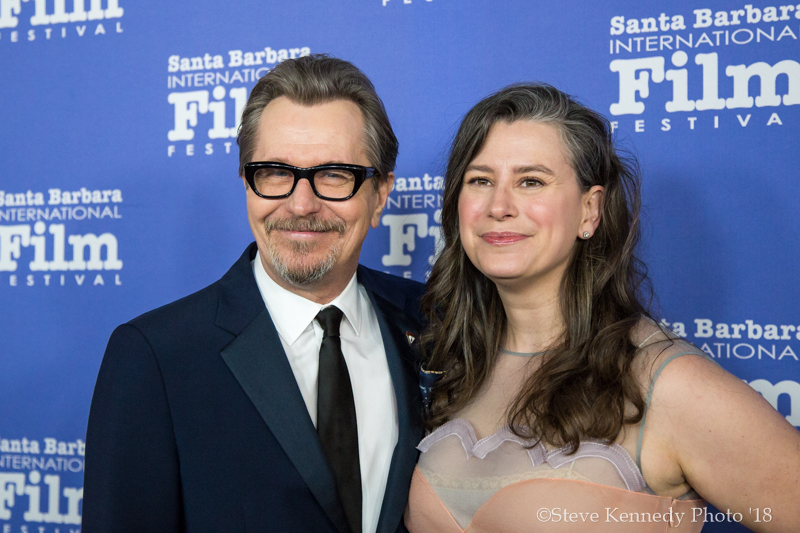 With films like Sid and Nancy, Dracula, True Romance, Immortal Beloved, Tinker Tailor Soldier Spy, and the Harry Potter series on his list of accomplishments it’s no wonder Oldman has been termed a master of his craft. His latest role as Winston Churchill in The Darkest Hour has already nabbed him the Golden Globe for best actor and has Oldman nominated for his second Oscar. 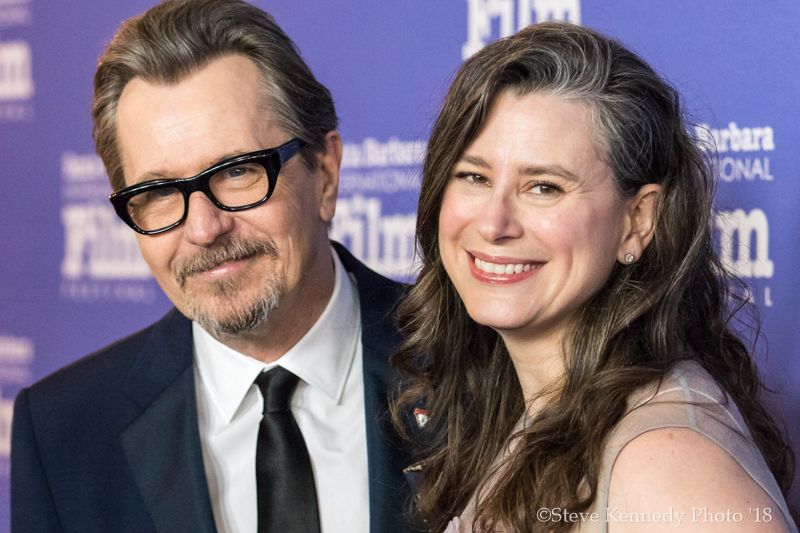 The cinematic world is buzzing about Oldman, but Gary doesn’t seem to notice as he plainly commented, “I can’t believe that’s my name on the Marquee out there! 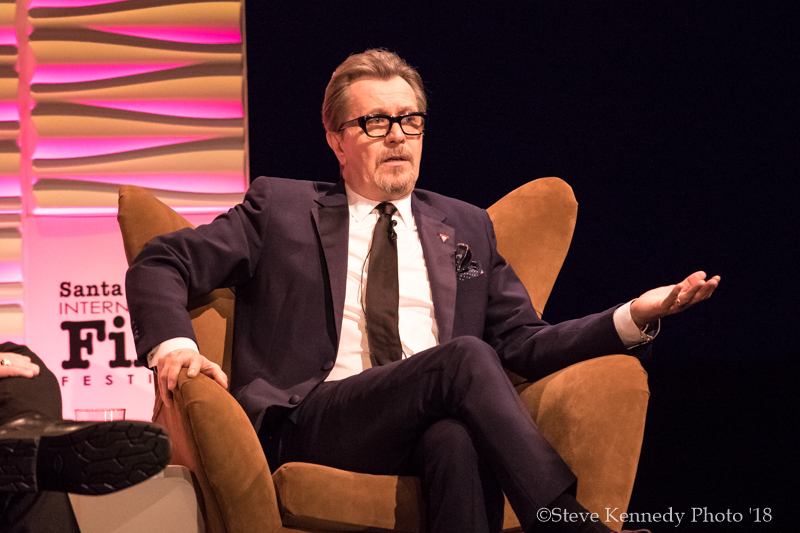 I need to pinch myself.” Humble and wise, Oldman shared tales of his acting roles with a packed Arlington Theater. 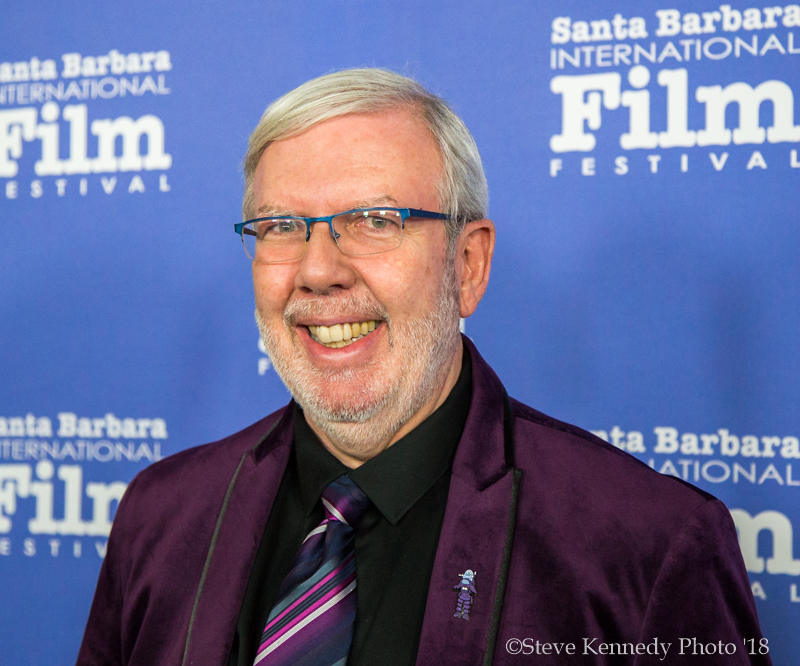 He brought the theater to life with laughter and honesty as he and renowned film critic Leonard Maltin weaved their way through an acting career that can indisputably be termed as brilliant. Maltin began by noting the effortlessness Oldman exhibits when producing his artistry. Oldman’s capability to transcend his the character he plays is a gift. We viewed proof of this talent with reels of Sid Vicious and Dracula. Oldman shyly chuckled after watching the work from his early films, as if he had forgotten the magnitude of those performances. 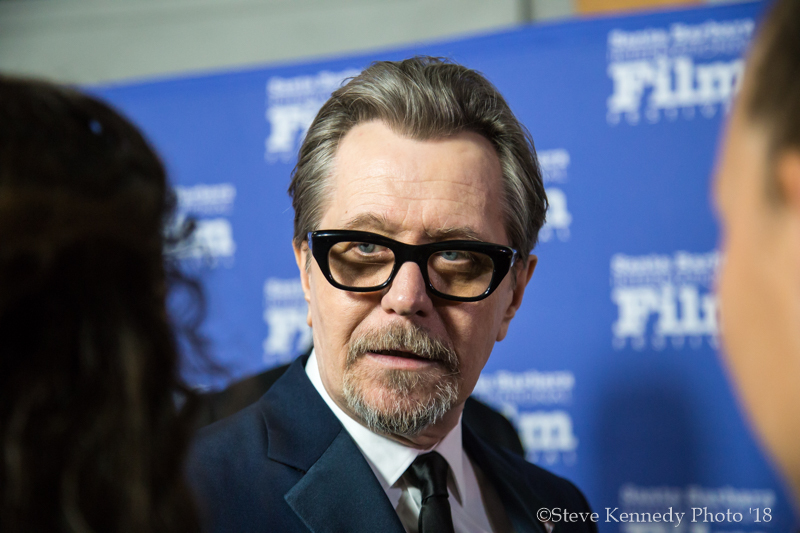 Oldman described the process of acting as an art form that becomes an obsession with each character that he inhabits. 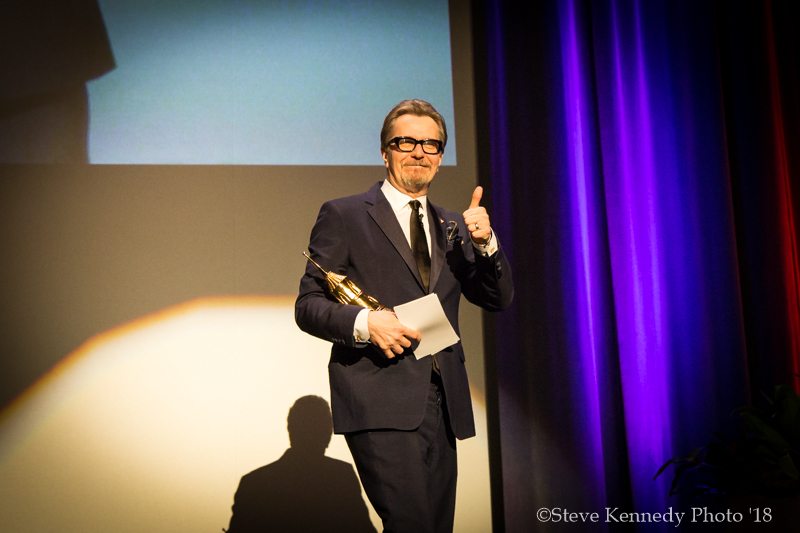 The magic all begins with hard work, that’s what Oldman credits for much of his success. Growing up, he always had a job, in factories, a slaughterhouse, as a salesman, a paperboy, even a milk round that had him up at 3 AM each morning passing fresh milk to the doorsteps of the neighborhood. All of this was good preparation for when he would commission a character. 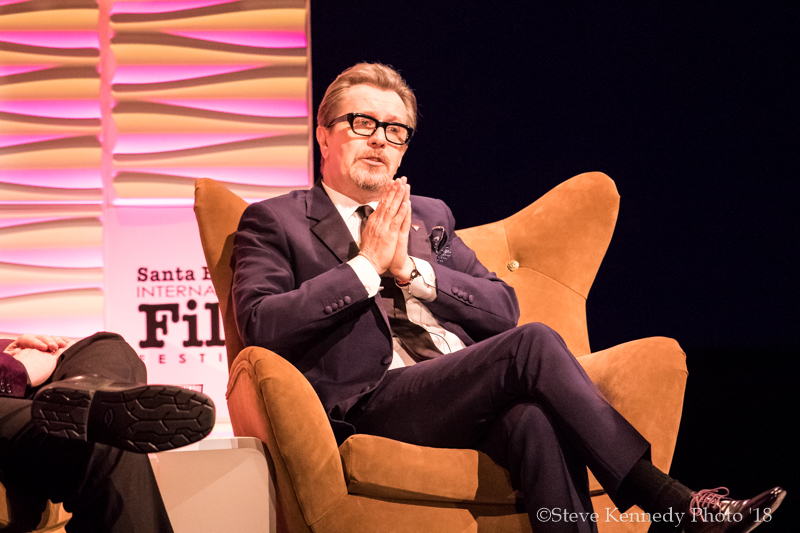 “Once I’m in, I’m in one hundred percent,” Oldman commented. 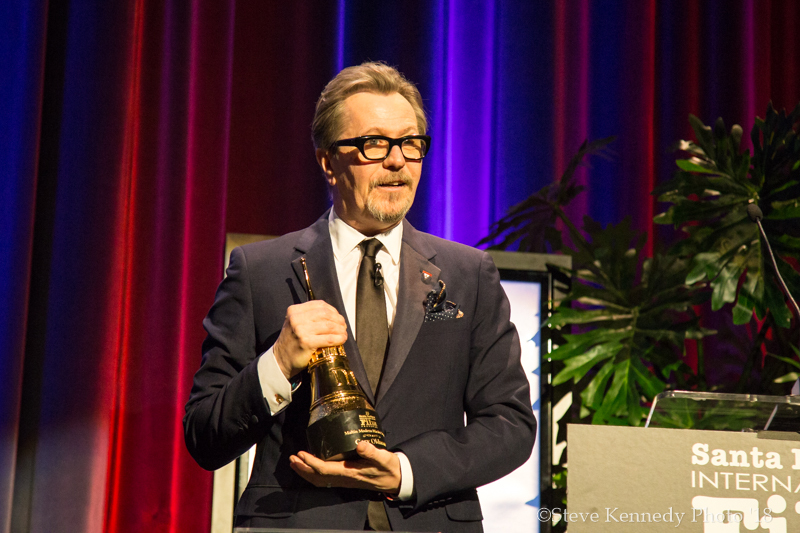 In the mid-section of his career, Oldman said he shifted things a bit to accommodate being a single dad to his two boys. “My fanbase went from forty to four-year-olds,” as he took on the role of Sirius Black in the Harry Potter phenomenon. For ten years Oldman was a part of the Potter family, something he said was quite special. He commended his co-stars and waxed nostalgic about being able to watch Ratcliff, Watson, and Grint grow up. 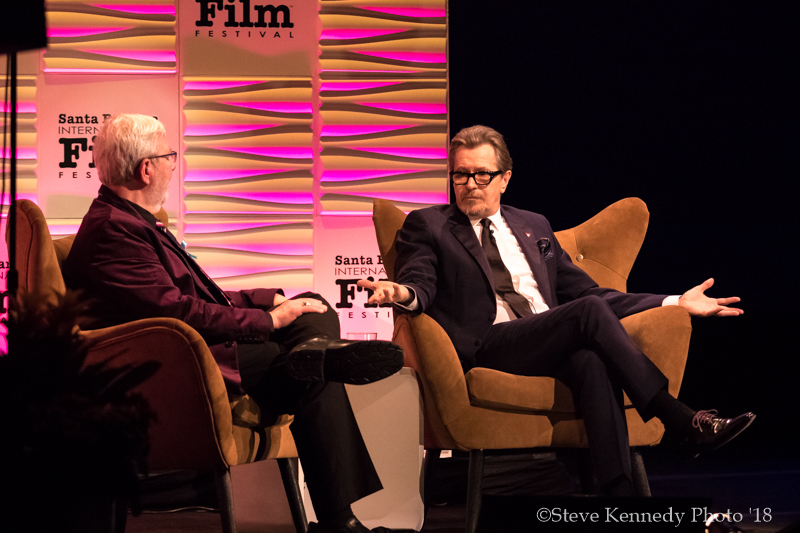 Maltin brought the interview to a close with a comment about Oldman’s Darkest Hour performance: “I forgot that I was watching you, I was simply watching Winston Churchill.” One of the highest recognitions an actor can strive to achieve. 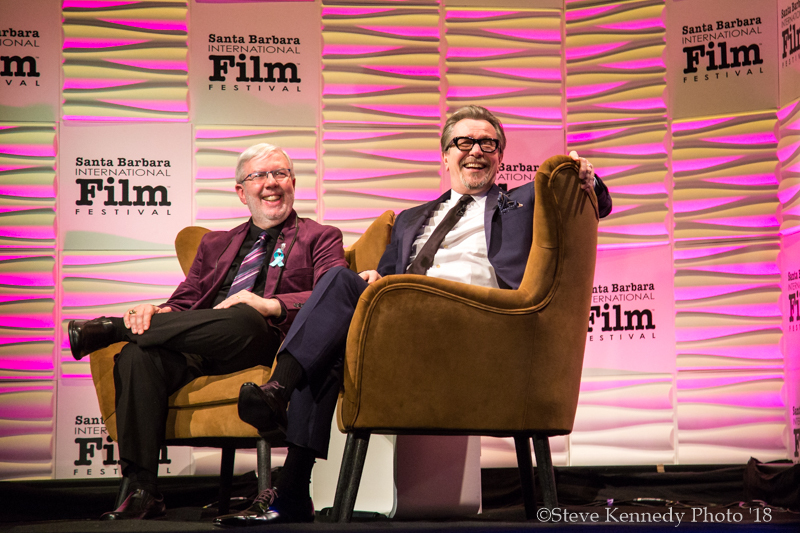 Maltin’s reflection paralleled what Oldman’s costar Ben Mendelsohn went on to say as he delivered the Master Award to Gary. Mendelsohn declared Oldman to be the Fred Astaire of acting; he just gets up there and delivers a perfect performance with grace and ease. We don’t see the bleeding feet that go into the work. 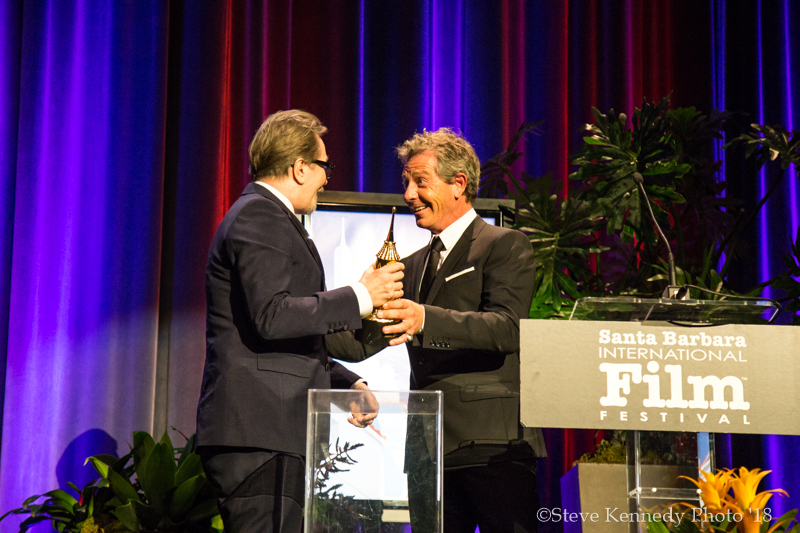 Mendelsohn went on to compliment Oldman’s achievements and described his masterwork as “fearless from the get-go.” As he passed the award into the hands of Oldman, the two embraced like old friends. Good people——tech crews, make up artists, camera people, co-actors. And good, hard work——plain and simple. 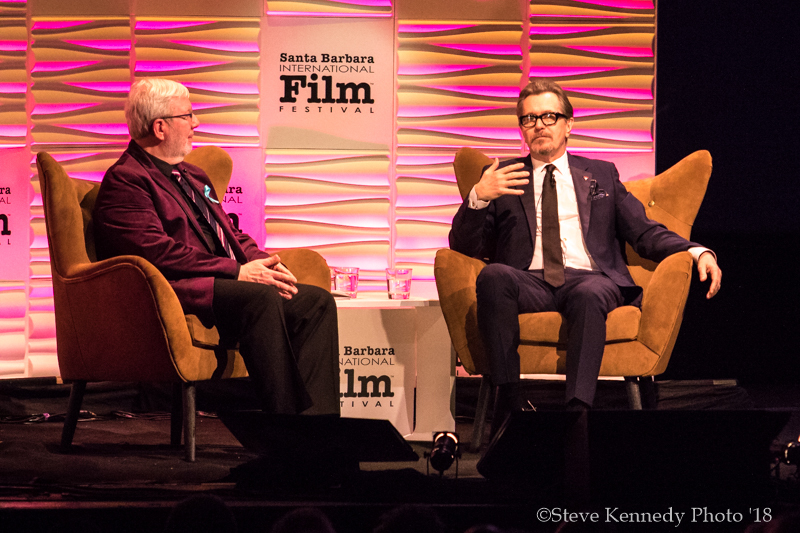 Oldman had the entire Arlington Theatre on their feet multiple times with standing ovations. 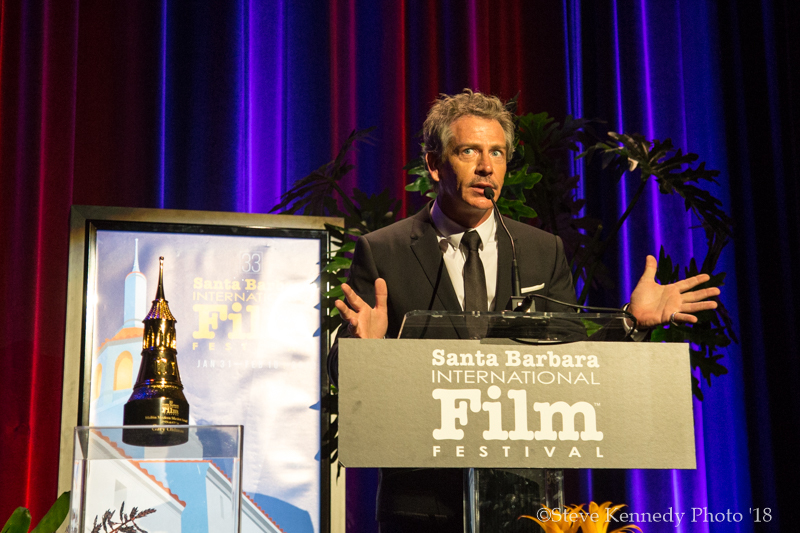 In the end, he recognized the suffering and loss that the Santa Barbara community has endured and he praised the audience for showing strength and perseverance through extreme hardship. 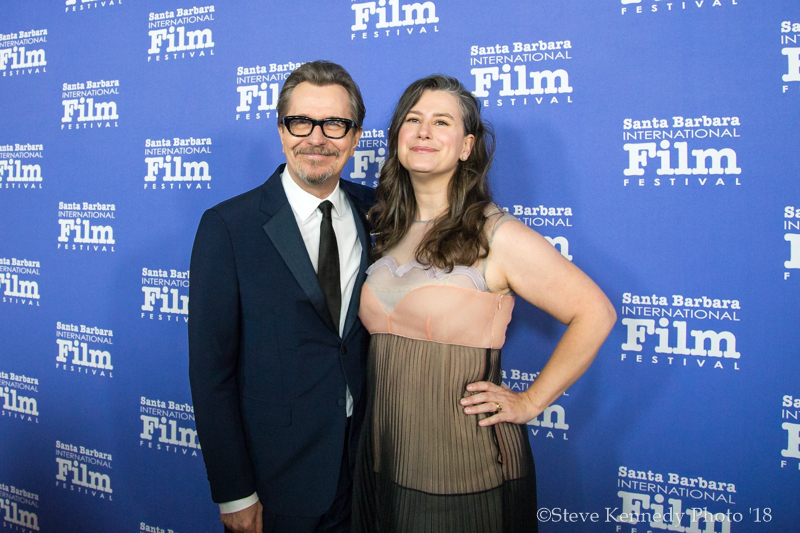 We are the lucky ones; we get to witness Oldman’s acting pilgrimage. What a show it has been so far!